Fantastic landscape such as mountains, beautiful riverfront, echo drives, hiking trails, 4x4 trails, fishing and flyfishing, most beautiful place for photographing, mountain dinners for groups, full moon hiking trail, mountain bike route registred. Nestled in the heart of country, 13kms from O. R. Tambo Airport we can sleep 21 guests (sharing) in our 9 luxury rooms. Two conference/training venues, also ideal for business meetings. Homestead Lake Guest House, Homestead Lake Cottage and Homestead Lake Conference Facility is siutated in the sleepy residential area Farrarmere, in Benoni. We offer overnight accommodation but also offer long stay self catering accommodation. Homestead Lake Cottage and Guest House is an upmarket accommodation establishment situated in Benoni. We offer bed and breakfast as well as self catering accommodation. 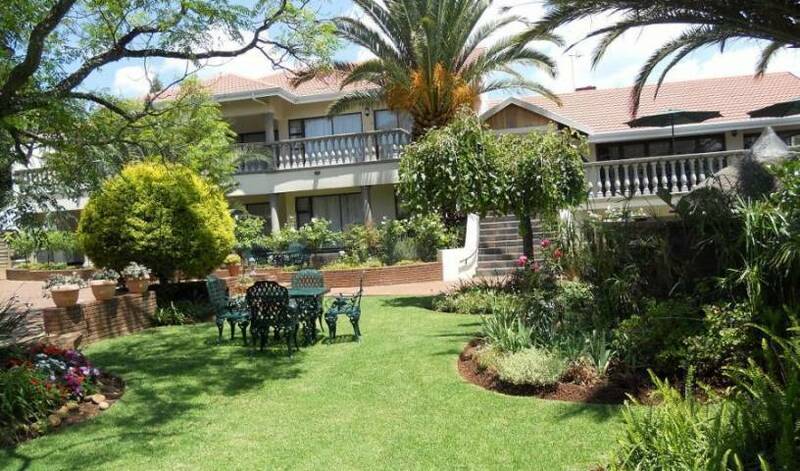 B&B@Bloem is a guesthouse that nestles in a quiet, leafy, residential area. Welcome to GRATEFUL, a country farm atmosphere, 10 minutes from Bloemfontein's central business district and 5 minutes to the N1 and a selection of restaurants, supermarkets etc. Conveniently situated in the heart of this coastal village, only 100m from the beachfront. Guesthouse next to O. R. Tambo International Airport, Boksburg, Benoni, Kempton Park. Taste of Heaven is a large five bedroom home with tall ceilings, a lovely garden, and gorgeous mountain views located in a private secure cul-de-sac. Firlane House is in a quiet, shady lane off Bredasdorp's town square. This charmingly restored 1926 residence has a Colonial ambience and stylish bedrooms with murals reflecting southern tribes of Africa. Situated on the cliffs of Brenton-On-Sea, Brenton On Rocks Luxury Guest House offers affordable accommodation for all with breathtaking views over the ocean. When entering the Tankwa Lodge, visitors are still welcomed with true warm country hospitality. "Flashpackers" and Adventure Travellers - Welcome to Cape Town, and 33 South! A inner city backpacker offering great location, comfort, safety and good value. Somerset Villa Guesthouse caters for the individual travelers, small groups and families with children and pets. Our prices include a hearty breakfast in our breakfast room or outside terrace next to the pool. online facilities as WILAN are free. The "Afro-Chic" Guest House in sun-filled Parklands, away from the madness of city life, is an intimate and luxurious guest house with 6 bedrooms en-suite within 5 minutes drive from the wave washed beaches of Blaauwberg strand. Cesky mluvici majite. Ubytovani 30 minut od Kapskeho Mesta, 40 minut letiste. Velky bazen, krasny vyhled na hory. V centru Winelands, golf, vinice, fantasticke restaurace. 4 star **** Backpackers Lodge with travel center, big garden with pool, waterfall and braai (barbecue) area, licensed bar, pool table and communal lounge, dining and kitchen facilities. Rates start from ZAR 150 per person per night. South Africa’s original, multi award-winning hostel and travel centre is simply Cape Town’s hottest, most social spot to stay. No matters whether you are looking for relaxation, activity or the sightseeing highlights of the Cape Peninsula, at Elements you feel good. We focus on quality, cleanliness and service at good value for money for young people and those young at heart. a Tastefully designed, converted museum of contemporary art, the Bohemian Lofts are centrally located in Observatory. A Victorian Cottage in the heart of Cape Town. A real Gem! Online booking: search for hildenehouse Welcome to our small, Luxury Boutique B&B, HILDENE. Nestled at the base of Table Mountain in the quiet suburb of Tamboerskloof and only minutes away from the centre of Cape Town. Cool, Fun, Friendly, Self Catering environment that caters for all your needs. Coffee Shack is a backpackers tropical paradise! You’ll find us on the Wild Coast idyllically located on the beach in Coffee Bay with the high tide lapping at our garden gate. Come and get an experience of your life. Visit our Game Farm in South Africa. Do not miss out! The Blue Sky Mining Backpackers & Lodge is an all year round oasis being conveniently situated in a spacious home in Warner Beach, KwaZulu Natal, just 30 km south of Durban & 15km south of Durban International Airport. The hotel has 20 modern and tastefully decorated rooms with all interior decor having been carefully planned and meticulously interpreted and implemented. The Happy Hippo is decorated in a contemporary African Ethnic theme; utilizing the vibrant colours shown through the flag and the S. A. people, and tastefully finished off with an industrial flavor..
Tudor House Inn is a quiet and welcoming, Tudor style family home in the suburbs of Durban North which is a basic and affordable bed & breakfast establishment. Our guests may arrive as strangers but we make sure that they depart as friends. Swell Tours Guest Lodge is built by the Xhosa community and sits on prime land with the most spectacular view of the waves! Self-catering rooms equipped with TV, microwave, hospitality fridge, crockery. Fine linen and towels. Zululand Backpackers Lodge. Adjacent the Dlinza Forest in Eshowe, Zululand. Close to all essential facilities. Ideal base for "101 Things to do in Eshowe, Zululand"
Outeniqua Travel Lodge is well-loved for it's affordable (never cheap!) accommodation. Clean, cosy and convivial it has become a well known meeting place for independent travellers from all over the world. Luxury self-catering accommodation with breath taking sea views. 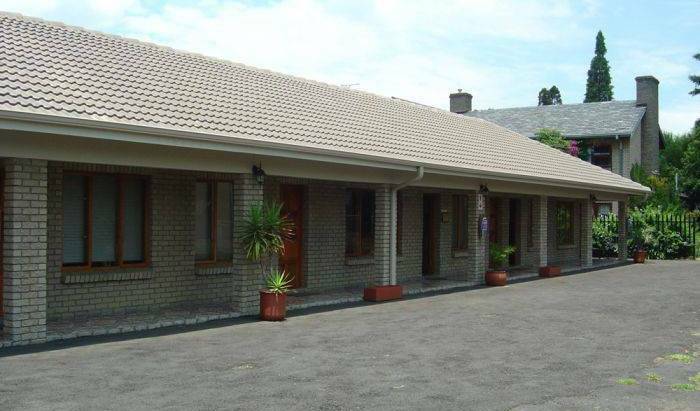 Situated in quiet suburb in Grahamstown, our B & B is perfect for a home from home stay. Nestling in scenic and safe environment Hamba Kancane Ma-Africa Guest House B&B and Self Catering in Graskop, has combined luxury, comfort and awesome scenery to create an unforgettable African experience. Summit Lodge is ideally situated on the doorstep of wildest Africa. Nestled on the edge of the Panorama Route in Graskop. A Victorian Mansion situated at the foothills of Signal Hill in the trendy tourist suburb of Greenpoint, a safe 10 minute walk from the world famous V & A Waterfront.... and a few minutes stumble from pubs, restaurants and Capetown's nightlife. Luxurious affordable accommodation in Groblersdal! You will love the Meditarenian ambience of relaxation! 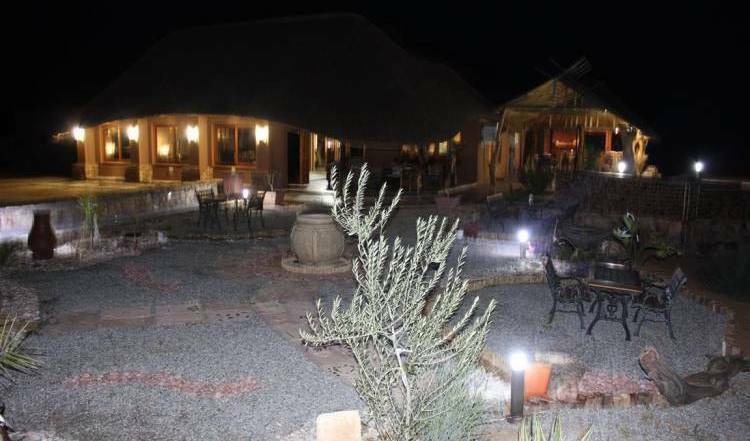 NANDINA guest house in Hazyview is strategically placed midway between spectacular scenery of the escarpment and the wildlife experience of the Kruger National Park. We offer luxury accommodation in three en-suite units max 2 guest. One of the oldest houses in Heilbron, with original wooden floors, ceilings and doors. Wide verandah and lovely garden. Sixteen Guest Lodge on Main is found in the picturesque town of Hermanus. Nestled between the mountains and the sea, Hermanus is only 140km from Cape Town and is the whale watching capital of the world. The Gregoire is a luxury boutique hotel offering an elegant yet relaxed atmosphere, where classic mid-century pieces of Pieff and Charles Eames reflect the period of grandeur of each space. Rustic Bed and Breakfast situated between Pietermaritzburg and Durban. We are the closest spot (1km) to the Hluhluwe/Imfolozi National Park! For the best 4x4 open vehicle game drives, visit Hluhluwe Backpackers! We call the Big 5 our neighbors and enjoy a stunning view onto the surrounding hills. Matumi Game Lodge in Limpopo province, and the greater Kruger National Park, is a perfect piece of Africa where you can escape and rejuvenate your body and soul in comfortable 3 star accommodation. Luxury 4 star accommodation situated 30 meters from the famous Supertubes Beach. Marathon lodge " A Home away from Home"
Cherry Tree Cottage is a safe & secure, centrally situated, with 4 luxury suites & limited self-catering facilities. We are ideally placed for you to do business in the city by day and enjoy country style comfort by night! Gauteng Day Trippers are located right in the middle of 3 major cities, Johannesburg Pretoria & Centurion. Our lodge is on a old farm in the middle of two mountain slopes overlooking one of South Africas major golf courses 'Ernie Else Golf Course'. Situated in the world's largest man made forest, The Birches Backpackers Lodge is in the northern suburbs of Johannesburg about 15 km from the central city. and the underground train. We offer comfortable rooms in a tranquil garden setting. Artemis Guest House offers top quality bed & breakfast accommodation and is situated 10km from O. R. Tambo (Johannesburg) International Airport, Kempton Park, Johannesburg, Gauteng, South Africa. Free airport transfer upon arrival and departure. Lakeview Backpackers offers affordable accomodation only 5 km from OR Tambo international airport. Dormitories twin and double rooms available. Free airport transfers. Grace Guesthouse and Tour is your home in South Africa, your transit point to Southern Africa. We are 12 minutes from O. R. Tambo International Airport. We provide room, transfer and tour services. Accommodation South Africa - Chamonix Guest Lodge Johannesburg Airport - Enjoy first class service and luxury accommodation near Johannesburg airport. On A Shoestring, the only Backpackers in Knysna with breathtaking panoramic views of the estuary and through the Knysna Heads. We offer comfortable accomodation and friendly service to those travelling on a budget. 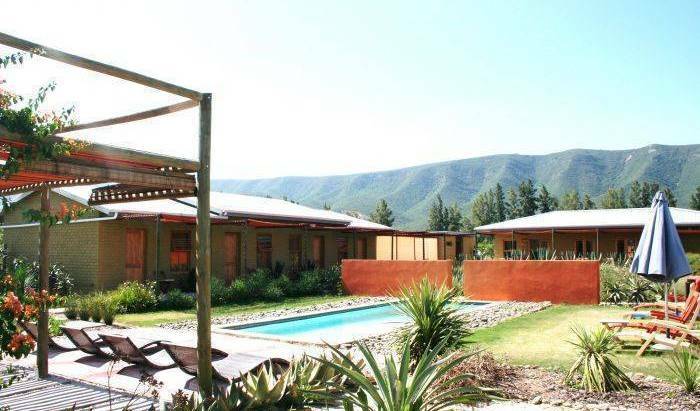 A quiet backpackers Lodge in the heart of the Garden Route. African themed, Quality Unsurpassed, 2 minute walk to all amenities. Friendlyness and Politeness is the name of our game. Situated on a picturesque lagoon beach on Leisure Island in Knysna, Bay house is ideal for a family beach holiday. With accommodation for up to 10 people, this large, up market, holiday home exudes comfort and luxury. Guesthouse/bed and breakfast 8 Km from the Kruger National Park, on the borders of Mozambique and Swaziland. Rooms set around a pool in tropical gardens. Bar and restaurant on site. All rooms en suite with mini bar, TV and air con. Comfortable, fully equipped self-catering wooden chalets and private campsites are perfectly located in the breathtaking natural landscape of the Orange River banks. A small affordable game lodge between the millionaire's resorts , in the greater Kruger Park, near Blyde river Canyon , for game walks, game drives. Located in a quiet residential area of Laudium, this elegant home offers you stylish air-conditioned rooms with DSTV, garage parking and free Wi-Fi. All 8 rooms come equipped with ironing facilities and a large bathroom with a modern shower. ONLY 45 minutes from NELSPRUIT, nestled at the foot of the magnificent Steenkamps Mountains and overlooking the Kwena Dam "One can only appreciate the true beauty of this area when seen through one’s own eyes". Offers you a wildlife paradise set in perfect bushveld surroundings. With true African atmosphere, Grand Kruger Lodge is the perfect base from which to experience the pride of South African conservation efforts. Superb accommodation in the heart of the bushveld with superb game viewing in the southern Kruger National Park. Midrandgar guest house is situated in midrand. It is located halfway between Johannesburg and Pretoria, the two major cities in the Gauteng province. Boasting 10 rooms, it offers everything you will need for a comfortable stay. When visiting someone's home, whether they're close family, distant relatives, friends, or even a B&B, you should feel welcome. La Boheme B&B and Day Spa is a uniquely affordable 4-star accommodation in Plettenberg Bay. Cottage interiors with classic beach-house décor are complimented with a rustic touch, home-style amenities, and luxury facilities. A rich tapestry of never-ending wilderness, emerald forests and crystal clear waters invites you to the southern tip of Africa. Here you’ll find Seagulls Nest. Oceansong Bed and Breakfast, situated at Solar Beach, has direct access to the beach via a boardwalk. Beautifully sunny rooms have a view of the bay and distant mountains. Tranquil setting cacooned with indigenous vegetation. You will love the Meditarenian ambience of relaxation! At Godiva we rewind mind, body and soul. Luxurious affordable accommodation in Groblersdal! Take the time to come home to yourself, for a truly tranquil stay, visit us! Decorated with an African theme, plan ahead, you will stay a little longer. Khaya Langa offers 4 fully air conditioned luxury en-suite rooms tastefully decorated along ethnic lines accredited with four stars by the TGCSA, all rooms are equiped with multi channel tv, tea and coffee making facilities . Whatch whales and dolpins while enjoying a delicious breakfast! Guesthouse in the "Garden" suburb of Port Elizabeth. Very close to the airport, less than 5 minutes and easy to find. Perfect for business or leisure. Close to shops, restaurants, beaches and Board Walk Casino complex. Hornby Lodge combines quality accommodation and a fine location close to Port Elizabeth's best beaches, hospitality and entertainment attractions. We are just 5 minutes from the airport. Private settings, tranquil surroundings and superb South African hospitality await you at Kingfisher Guest House in Summerstrand, Port Elizabeth, South Africa. We are situated no more than 400m from Pollock Beach. Crow's Nest combines quality accommodation and a fine location close to Port Elizabeth's best beaches, hospitality and entertainment attractions. We are just 5 minutes from the airport. Beacon Lodge combines quality accommodation and a fine location close to Port Elizabeth's best beaches, hospitality and entertainment attractions. We are just 10 minutes from the airport. 5 Third Avenue Guesthouse, located in the garden suburb of Walmer, located in the same street as Port Elizabeth airport. We offer self-catering and B&B accommodation in 8 private rooms each with own kitchenette and shower-en-suite. With luxury b&b accommodation, personalised service and a location close to the premier attractions of the Port Elizabeth beachfront, Kings Tide Boutique Hotel is the perfect accommodation choice for discerning tourists and business executives. we are a bed and breakfast with plenty to offer in the way of comfort, cleanliness, activities and friendly hosts and staff. We are situated approximately 8km away from Lanseria International airport and away from the hustle and bustle of cuty life. 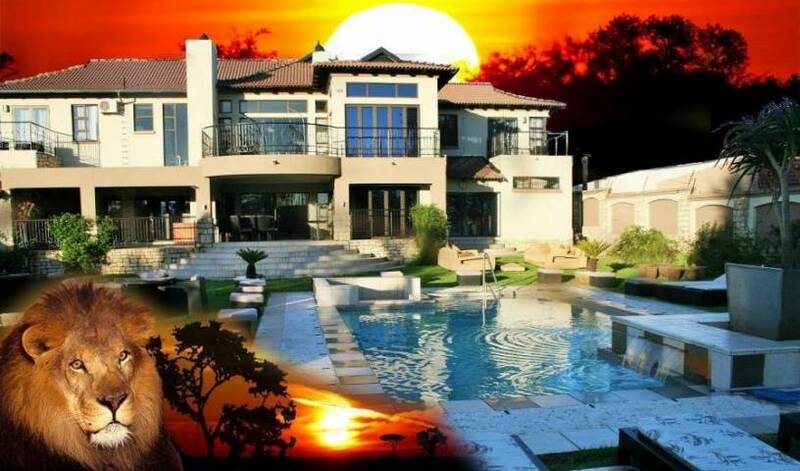 Villa Africa is situated in peaceful Equestria, an Eastern suburb of Pretoria, on a mere 30 minute drive from OR Thambo International Airport. Villa Africa is set in a green and tranquil environment . Hospitality is second nature at Cranes Nest. SBH Hotel Pretoria is located in Lynnwood Road, Pretoria and has easy access to major highways. The Hotel has spectacular views of the Eastern Pretoria & surrounded by nature reserve. Melvin Residence is a 4 star Guest House that is ideally located for doing business in Pretoria. A warm welcome visitors who wish to experience the glamour of yesteryear, but who also do not want to compromise on modern amenities. Home away from home, quiet, safe and friendly environment. This Lodge and Backpacker has a great atmosphere that is warm, clean, spacious, fun and personalized. Duck Inn, an award wining B&B for Service excellence, is “home from home” for people who enjoy fine accommodation as well as personal service and hospitality. Where Comfort and service is never compromised!! Centrally located, our private and exclusive apartments are just a few minutes’ drive away from the airport and city center. Guests can enjoy with our first-class city sight, restaurants, exquisite boutiques and live entertainment. Guest House accommodation in Somerset West South Africa. B&B or selfcatering cottages. Close to Cape Town, winelands, golf and beach. Discreetly hidden from public view is this tranquil oasis offering nine, exquisite, and luxurious rooms for the discerning guest who values great comfort and out-standing hospitality. The Winelands Villa Guesthouse provides the perfect setting for an unforgettable holiday in the heart of the Cape Winelands on a beautiful property that covers more than 5 300 m². Alphabed B&B is a stylish and luxury Bed and Breakfast in the heart of the Cape Winelands, ideally situated for exploring the Helderberg region, Stellenbosch, Cape Town, the winelands and the beaches of the False Bay. These beautiful apartments are situated in a quiet street in an elegant part of town – an oasis of peace and tranquility. We are only 3 minutes’ drive from the centre of Somerset West, with its many restaurants, cafes, bars and wineries. Somerset West, Just a short drive from Cape Town. The perfect blend of first world standards and old world charm. We are situated in a tranquil sub-tropical neighbourhood, 5 minutes walk from Leach's Bay and East London Grand Prix Circuit. Ian and Sue Pile, look forward to welcoming you to our homely B&B, 'Where Memories Begin" Our B&B has a generator, for those South African power cuts. Beautiful, clean guesthouse in a quiet neighbor hood, at the BEST rate(R400. 00 single and R500 double). Just B Guesthouse is our joy, our pride! Stay in one of our four double or one single en-suite rooms.